JBL Professional by HARMAN today announced the new JBL 7 Series Powered studio monitors, building on the legacy of the acclaimed JBL 7 Series line. Featuring patented driver and waveguide technologies developed for the flagship JBL M2 Master Reference Monitor, the new 705P five-inch and 708P eight-inch monitors deliver high output, stunning detail and best-in-class accuracy for post-production, broadcast and music recording facilities. JBL 7 Series Powered master reference monitors are engineered to solve common problems in recording, post and broadcast workspaces. Patented and patent-pending driver and acoustic technologies provide significantly greater output, dynamic range and detailed imaging to help professionals work from greater distances and overcome less-than-ideal placement. Proprietary JBL waveguide technology delivers neutral response and exceptional room-to-room consistency, while onboard room EQ solves low frequency problems that have plagued engineers for years. JBL 7 Series Powered monitors utilise proprietary JBL drivers to deliver greater dynamic range and superior frequency response. Both models feature the 2409H high-frequency compression driver, which incorporates an innovative low-mass annular diaphragm to deliver extraordinary output and very low distortion, with response beyond 36 kHz. The 725G five-inch low-frequency transducer used in the 705P model provide 14 mm peak-to-peak excursion with greater linearity, delivering exceptional low-frequency output down to 39 Hz. The 728G eight-inch low-frequency transducer inside the 708P leverages JBL Differential Drive technology to reduce power compression and provide greater sustained output and extended, linear low-frequency performance to 35 kHz. These proprietary drivers allow the 7 Series to deliver two to three times the output of existing studio monitors. Inside each monitor is a built-in dual amplification system that’s optimised for the high-output drivers. A 120W amp powers the 2409H high-frequency transducer, while a 250W amp is dedicated to the 725G and 728G low-frequency transducers, delivering unparalleled output and detail even at great listening distances. Onboard DSP-based room equalisation compensates for acoustic issues in any room, delivering the most accurate sound reproduction. Twelve bands of room EQ and eight bands of user EQ allow audio professionals to tailor speaker response to reduce the adverse effects of poor room acoustics and optimise accuracy whether the monitors are freestanding or placed adjacent to the wall. Both models feature analog and AES/EBU digital inputs allowing connectivity to a broad range of production hardware, including digital audio workstations (DAW), mixing consoles and digital playback hardware with sample rates of up to 192 kHz. Internal sample rate converters can be enabled to allow the monitors to receive digital signals of uncommon sample rates. 7 Series Powered monitors were developed with the modern control room in mind. A compact two-way design minimises interference with video displays and sight lines, while providing output comparable to larger speakers. The reinforced enclosure includes bottom and rear mounting points allowing wall and ceiling mounting in either vertical or horizontal orientations. 7 Series Powered monitors are designed to meet the needs of discerning music producers, recording engineers, mastering facilities and remote production facilities. The new powered monitors complement the existing 705i and 708i (installed) models, which serve as the hub of a complete, scalable system based on external multi-channel power amps and centralised system control. Facilities working in surround and immersive formats benefit from the compact size, high output and ease of installation of the 705i and 708i. Centrally located electronics eliminates the need for power outlets at each speaker location and allow powerful, elegant control of any number of channels, in any size room. The complete system includes room EQ, downmix capabilities, and hardware and software control of a range of monitoring functions. Multiple 7 Series monitors can be combined with the new JBL Intonato 24 studio monitor management system to create a complete monitoring system for immersive audio production. Intonato 24 gives audio professionals the power to quickly optimise their environment for superior accuracy and easily scale their system as needed for future growth. JBL 7 Series Powered monitors will be available Q1 2017. The JBL 705P and 708P are expected to be priced at £899 and £1799 RRP inc VAT respectively. 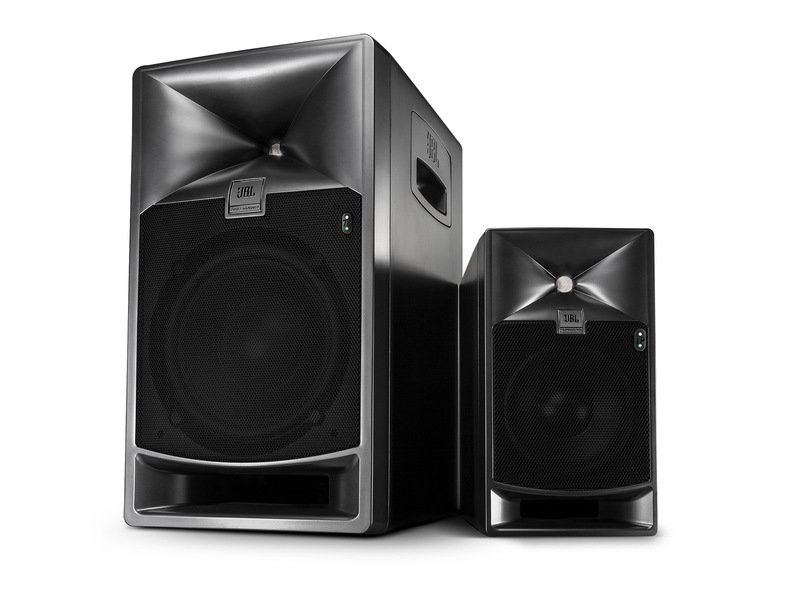 Learn more about the JBL 7 Series line of master reference studio monitors by visiting http://jblpro.com. JBL Professional by HARMAN is distributed in the UK by Sound Technology Ltd. For more information please call 01462 480000 or visit www.soundtech.co.uk/jbl.